Pierre Chao is a co-founder and managing partner of Renaissance Strategic Advisors, which provides corporate strategy and transaction advisory services to clients in the aerospace, defense, space, government services, homeland security and intelligence markets. Chao is also a co-founder of JSA Research, an equity research boutique specializing in the aerospace and defense industry. Chao holds two decades of experience in the aerospace and defense management consulting, investment banking, equity analysis and policy analysis fields. 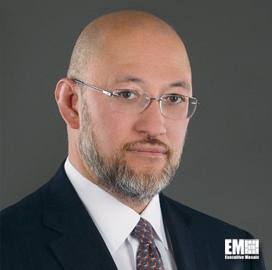 He has participated in 31 aerospace and defense equity offerings and initial public offerings, raising nearly $11.7 billion total, and also helped in dozens of buy-side and sell-side merger and acquisition assignments, according to Renaissance. Institutional Investor has ranked his team number one in every year eligible and on the All-America Research Team every year eligible. Prior to founding Renaissance, he served as director of defense industrial initiatives at the Center for Strategic and International Studies from 2003 to 2007. Before joining the CSIS he served as a managing director and senior aerospace and defense analyst at Credit Suisse First Boston between 1999 and 2003, where he followed that sector on a U.S. and global scale. Between 2003 and 2006, he served as an independent senior adviser to CSFB. From 1995 to 1999, Chao was the senior aerospace and defense analyst at Morgan Stanley Dean Witter and held that same post at Smith Barney in 1994. Before that, he served at Boston- and Paris-based consulting firm JSA International from 1986 to 1988, and then again from 1990 to 1993. Prior to joining JSA, he worked in the New York and London offices of Prudential-Bache Capital Funding as a mergers and acquisitions banker focusing on aerospace and defense from 1988 to 1990. He is a guest lecturer at the National Defense University and the Defense Acquisition University and he has served on several Defense Science Board, Defense Business Board and National Academies of Science task forces. Chao holds dual degrees in political science and management science from the Massachusetts Institute of Technology.